Oops! This page does not exist. Home / Oops! This page does not exist. Sorry, the page you’re looking for does not exist. 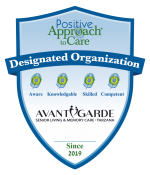 A certified Positive Approach to Care (PAC) community.